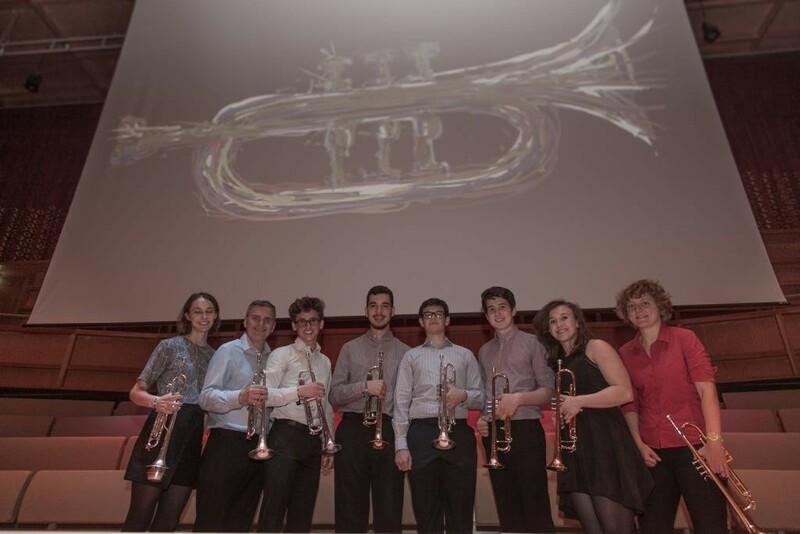 Concert Band | Music Matters | Because it does. Doesn't it ? 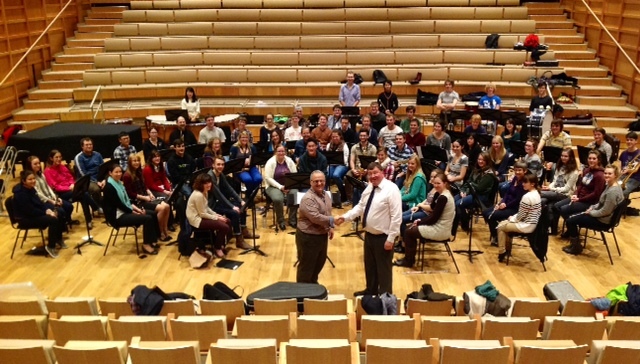 On the conductor’s podium is the sprightly figure of Ian Swatman – Bob Marley devotee and possibly the most dedicated fan Hull City will ever have – vigorously taking charge of Wednesday rehearsals and leading the assembled forces through repertoire in preparation for their various termly concerts. 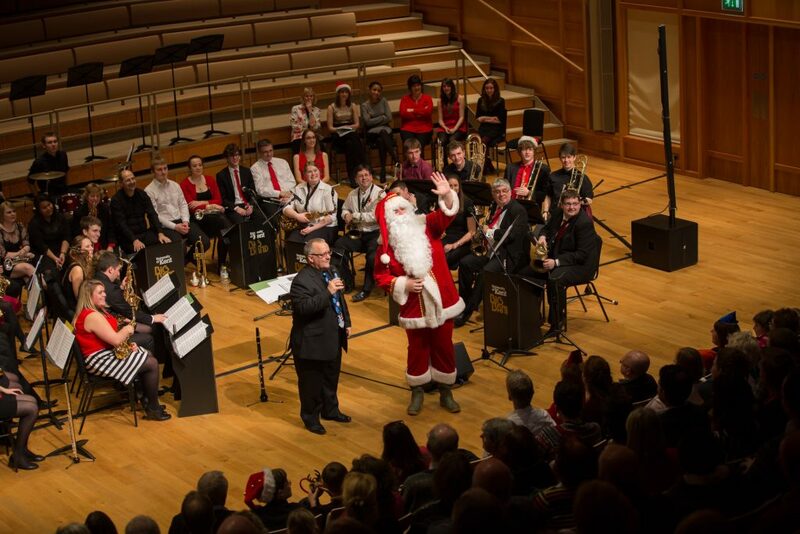 In December, the Big Band can be found in Santa hats and jazz-infused versions of seasonal repertoire for the popular Christmas Swing-along, whilst both forces combine each March for their roof-raising Spring concert, and for a farewell concert each June. 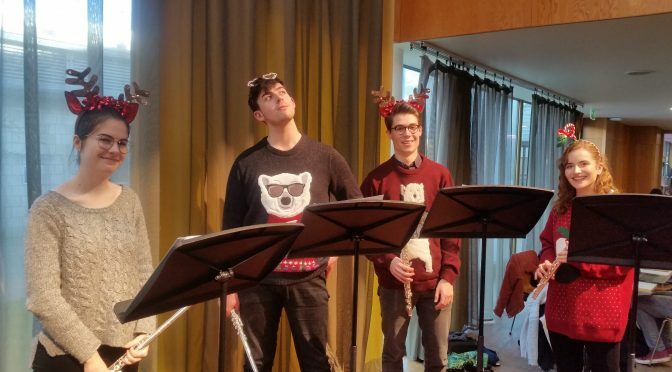 Both national and international students, staff and members of the local community find themselves grappling with the complexity of the repertoire Ian hurls at them each year, as they sweat blood to get the music under the fingers. 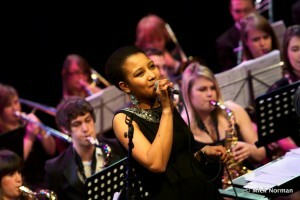 Each year, too, auditions are held for solo singers, for the opportunity to sing with the Big Band. 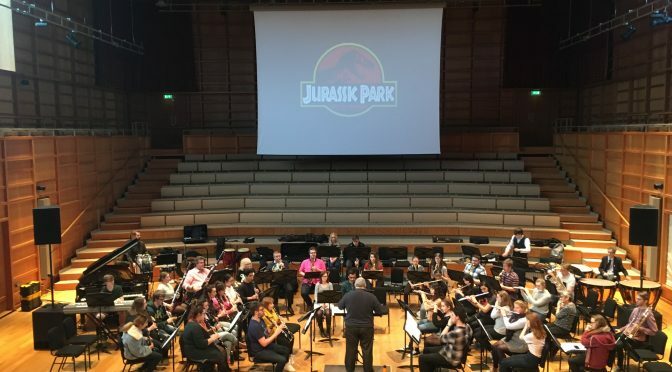 A particularly exciting aspect to the working life of the Big Band is the opportunity to work with guest musicians; in the past, this has included trombonist Mark Bassey, trumpeter Mike Lovatt from the John Wilson Orchestra, and saxophonist Phil Veacock from the Jools Holland Orchestra. 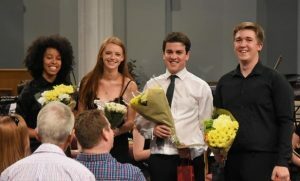 It’s a great opportunity for the young stars of tomorrow to work with, and learn from, accomplished professional performers. 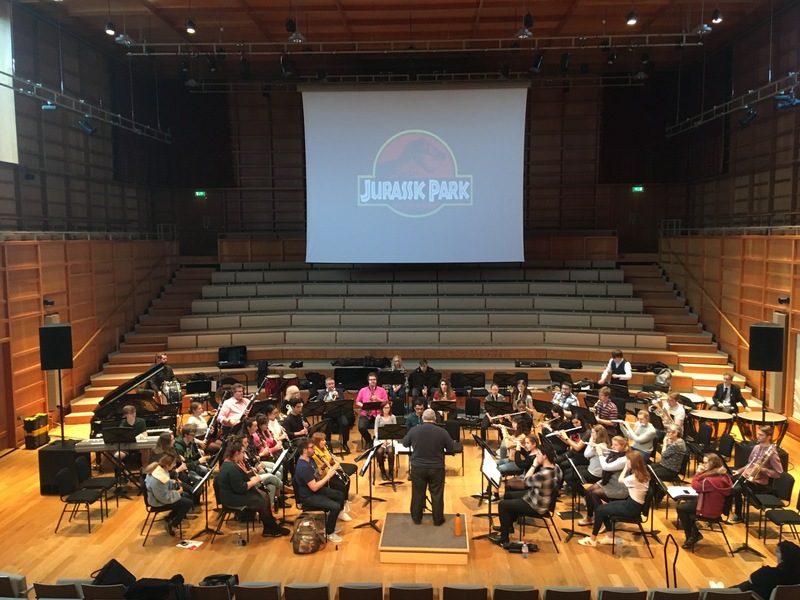 The Concert Band has worked with composer James Rae too, when James was commissioned by the Music department to write a piece for the gala concert to open the Colyer-Fergusson Building in December 2012. 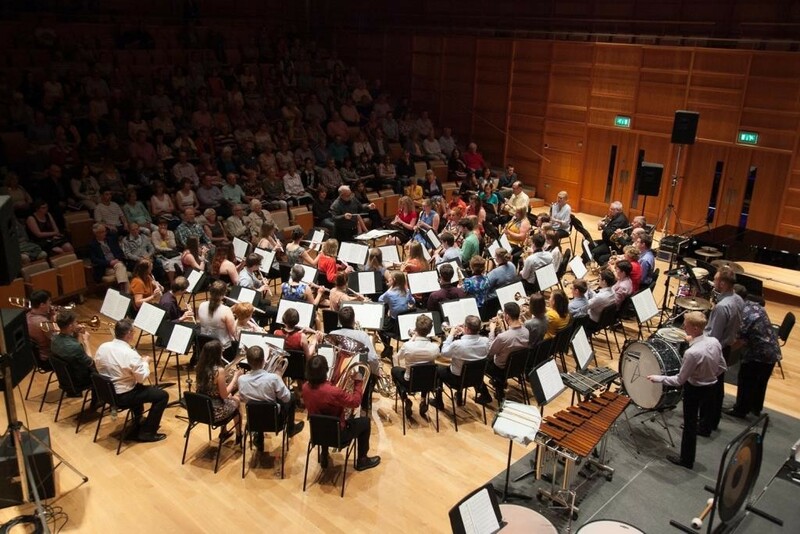 As part of an action-packed weekend, the Concert Band gave the world premiere of James’ Platform One. 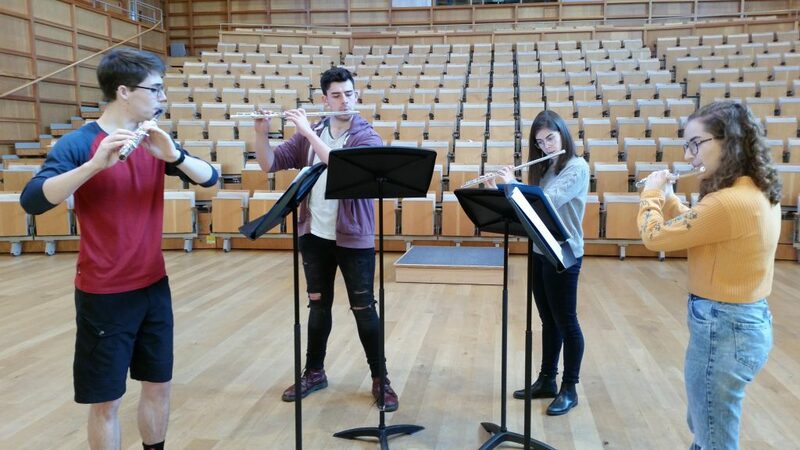 The groups don’t just perform in the adaptable acoustics of Colyer-Fergusson Hall. 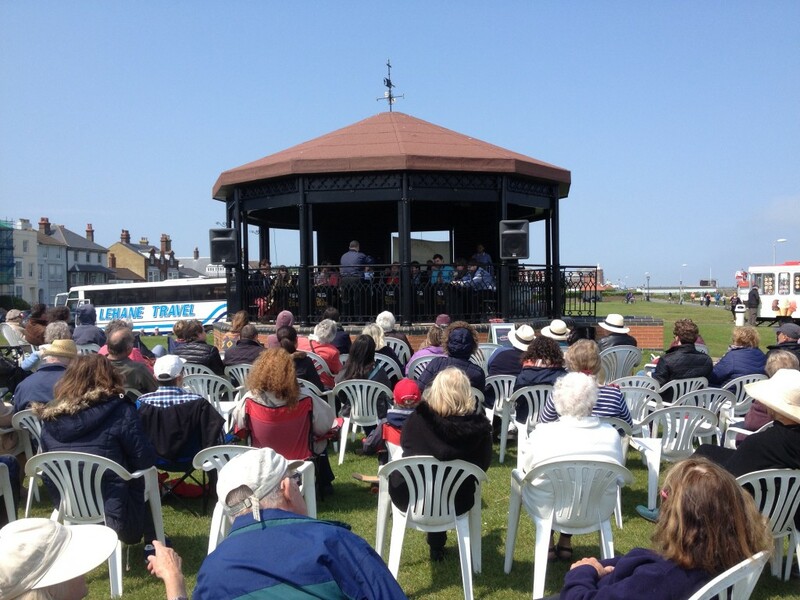 The Big Band also launches the annual Summer Music Week, a musical farewell to the University’s academic year, with a trip to the seaside to perform on the Memorial Bandstand at Deal, which involves combining rehearsals and coach-trips with a visit to the promenade chip shop and the roving ice-cream stand. (It’s a hard life…). 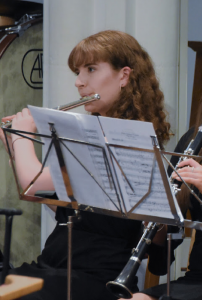 The band has also headed down the road to perform alongside pupils at St Edmund’s School, and also in Whitefriars in the heart of the city. 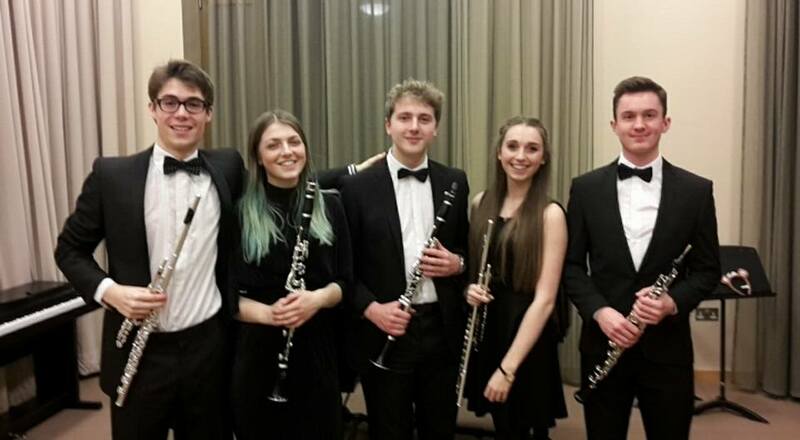 Continuing the series profiling some of our University Music Performance Scholarship students here at Kent. This week, reeds specialist studying Business and Management, Tom Wust. As a kid growing up in a family of musicians and wannabe footballers, my ambitions in life were simple: become Manchester United’s record goal scorer (cue the booing from Manchester City fans!) and to play the piano as well my Dad. 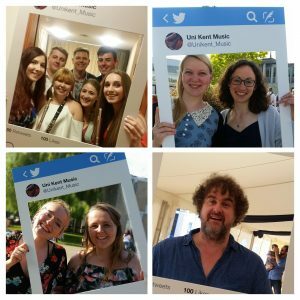 And in the present day, I still can’t play the piano as well as my dad, and the whole Manchester United thing is looking unlikely as I’m at university down here at Kent; but heigh-ho, life goes on! 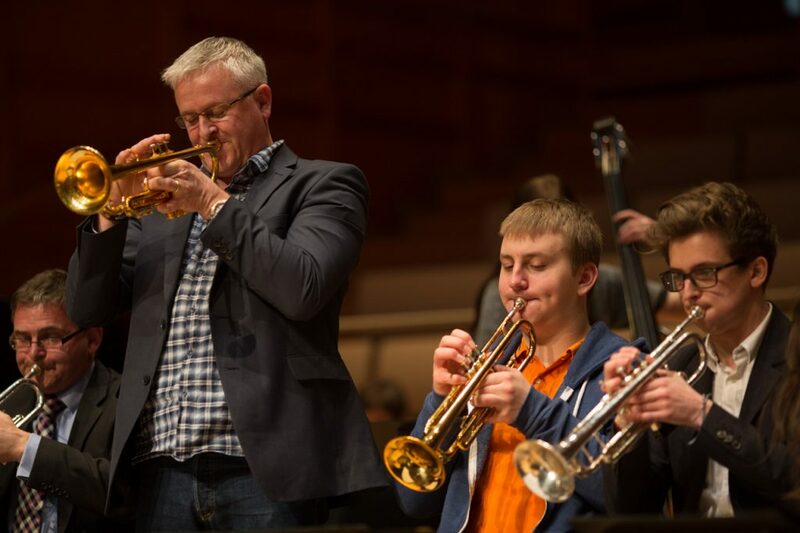 The biggest inspiration for me to become a musician was my Dad. He used to give me piano lessons and try and get me started early, but I just couldn’t hack it. This didn’t stop me learning what all the white and black keys meant, which meant whenever we did music lessons in primary school, I was the expert as I could play an F on a keyboard without having the note names written on in whiteboard marker pen. I may have come across to my peers as a piano playing virtuoso, but I knew I was a million light-years away from being the next Wolfgang Amadeus Mozart. At this stage in my life I was still very keen on football, and played for my primary school and a local club. 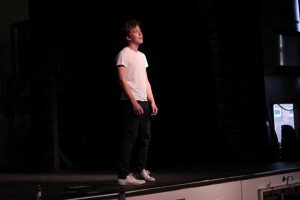 Choosing a secondary school presented some opportunities to fulfil one of my two ambitions. 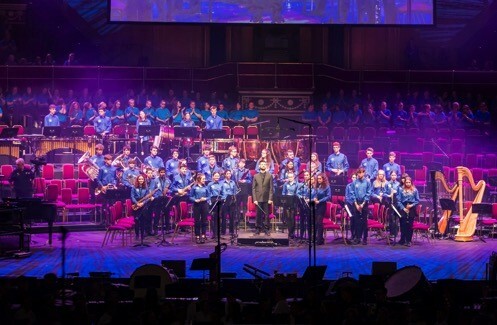 One of my options was Abraham Darby Academy, a performing arts and business enterprise specialist academy. 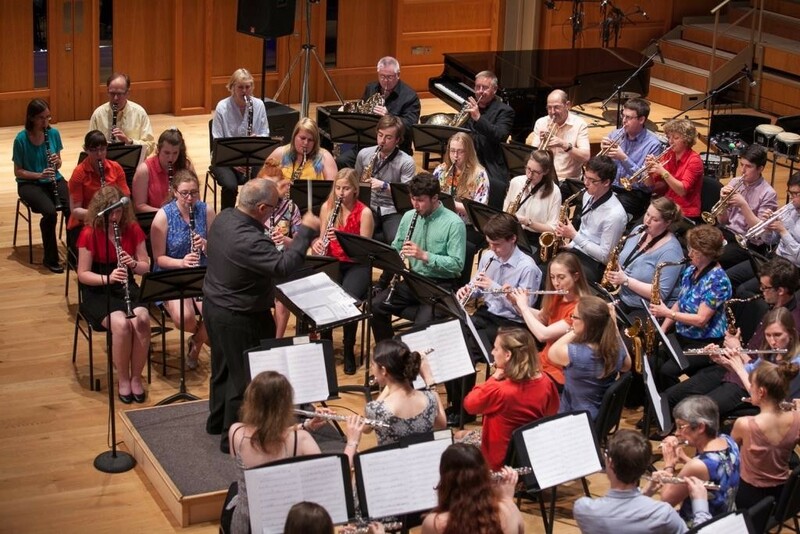 Their flagship concert band, called the ‘Showband’ had recently returned from Carnegie Hall, New York, and an opportunity like that would have been too good to turn down. 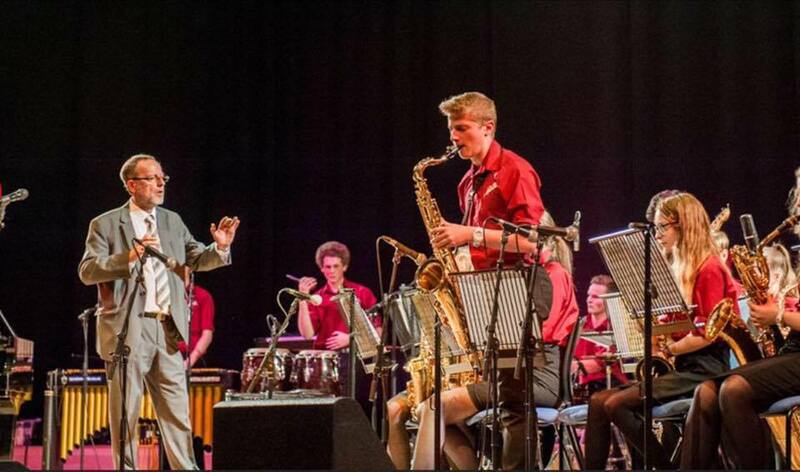 I started year 7 at Abraham Darby Academy and was inspired to reach the standard needed for the Showband. 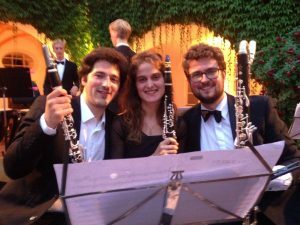 I began my first clarinet lessons with the head of music, Rachel Morton, and quickly progressed up through the various ensembles the academy had to offer. The Megaband was the first ensemble I was a part of, where you needed to pass your grade one to enter. 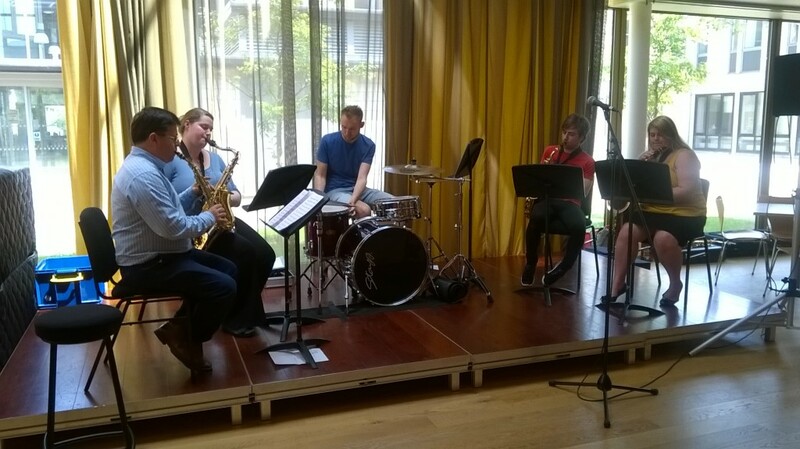 Next was the Friday Band, which – you guessed it – rehearsed on a Friday after school. This was an intermediate band with students of around grade 2/3 to grade 7 standards playing. 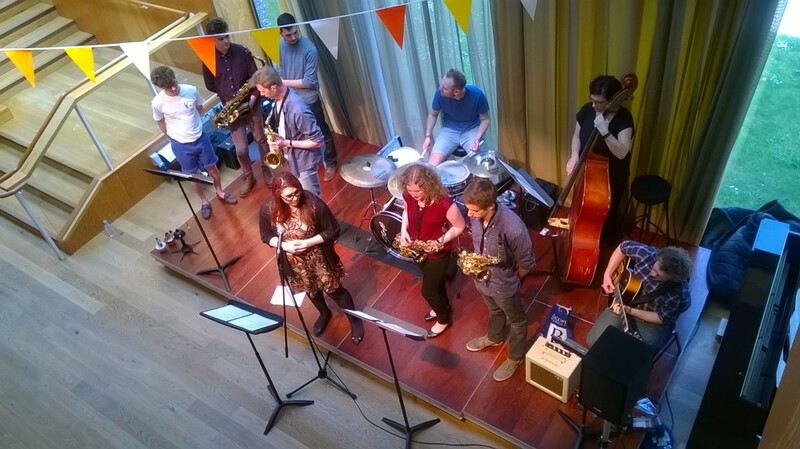 In addition to the concert bands, I was invited to pick up a tenor saxophone and play with the Junior Jazz Band. 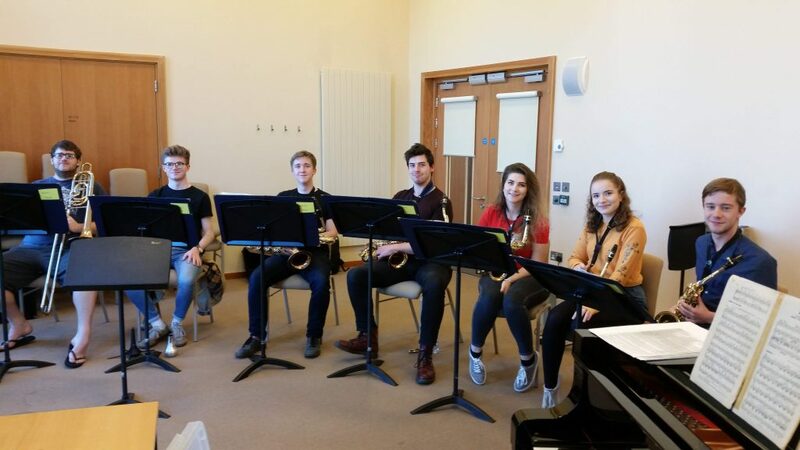 It was from there where I progressed even further, passing an audition for the Showband and the Senior Jazz Band on 3rd clarinet and baritone saxophone respectively. 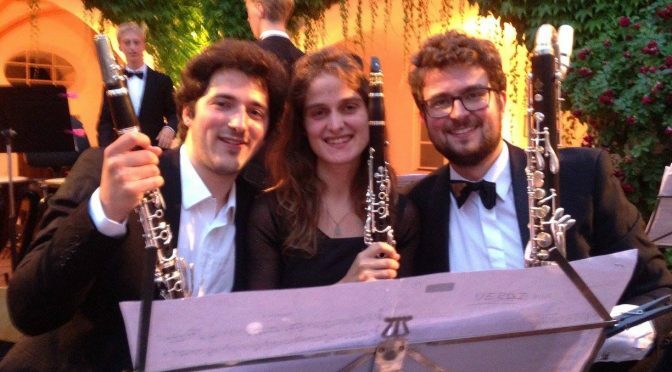 As clarinet was my principle instrument, I was trained to play classically. 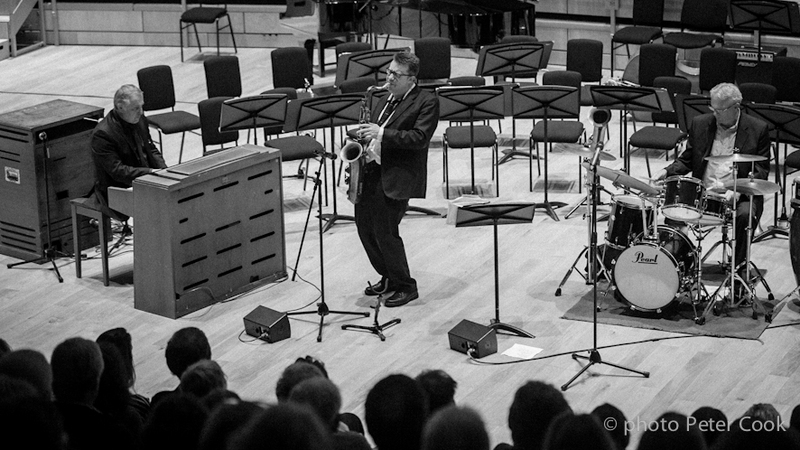 The moment I picked up a saxophone, all of that changed. 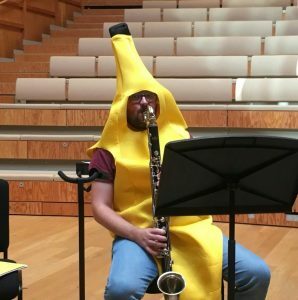 I was told to forget nearly everything I had learned on the clarinet and soon enough I rebelled against my initial training and became totally engrossed with playing jazz. 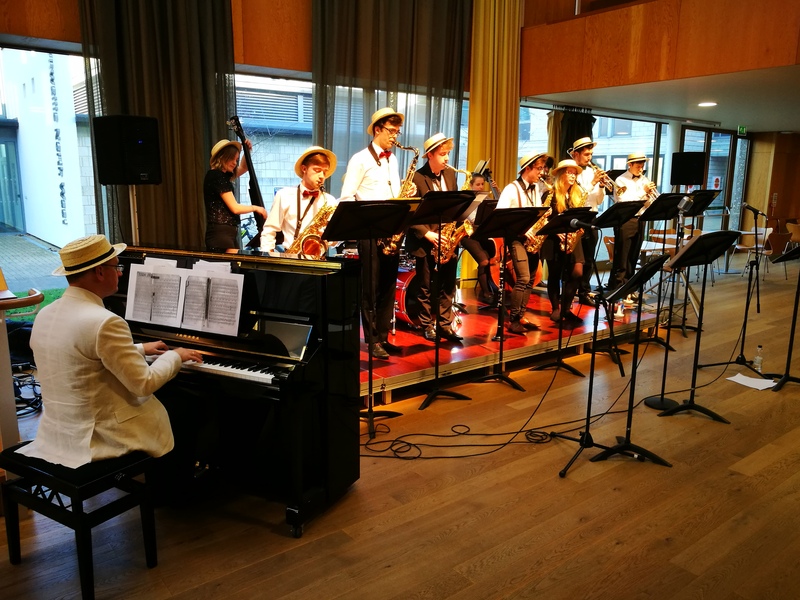 I would always be willing to improvise in the Jazz Bands, and in year 12 would be invited to be the musical director of the Junior Jazz Band, helping classically trained saxophonists and brass players to find their way in the world of jazz and all it had to offer. 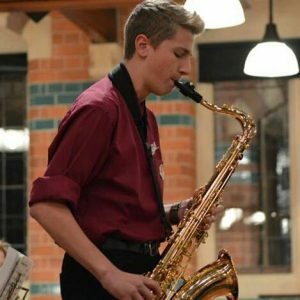 I achieved grade 8 saxophone with distinction in year 10 after just 3 years of playing, grade 8 clarinet with distinction in year 11 and grade 8 jazz saxophone with distinction in year 13 to round off my time at the Academy. 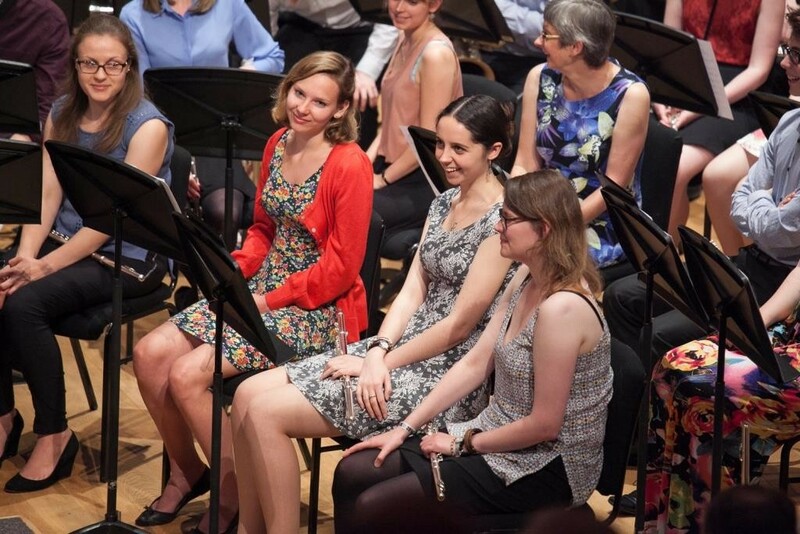 Music at Abraham Darby has given me many moments I will remember and cherish for the rest of my life. 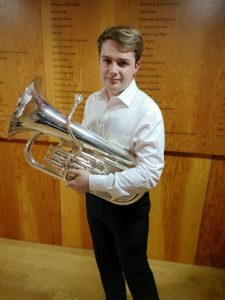 Playing for the Queen at RAF Cosford for her Diamond Jubilee, representing England in the Palaces of Westminster for the Commonwealth Carnival of Music, playing in Symphony Hall five times, winning Gold at the World Music Contest in the Netherlands, playing as a soloist for Prince Edward, and performing in the Royal Albert Hall just to name some. 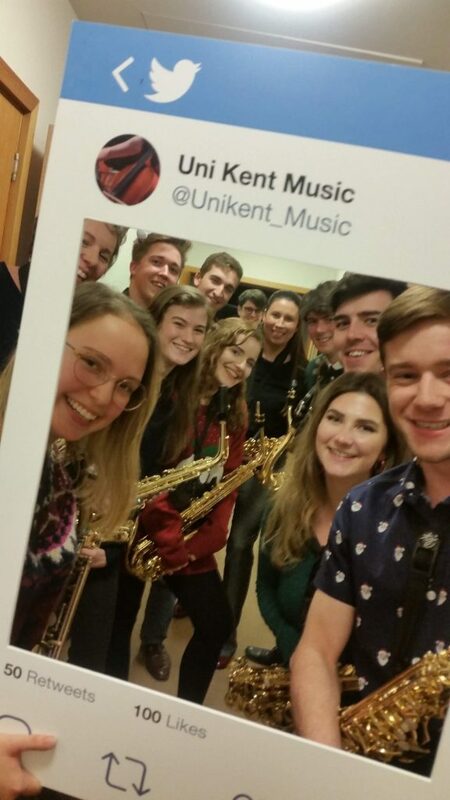 I was very happy to learn of the exciting opportunities that music at the University of Kent presents. 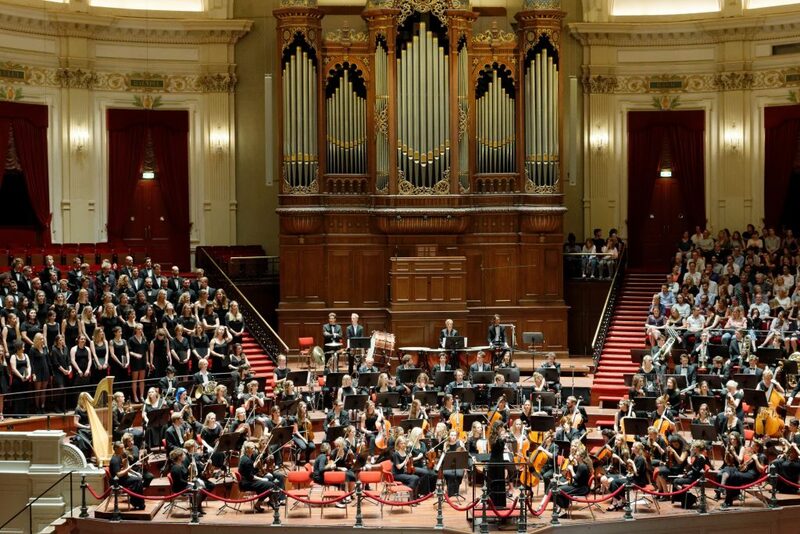 Playing in an orchestra was something on my musical bucket list that I hadn’t achieved thus far, and at the end of my first term I was part of the ‘Sounding Shakespeare’ concert with the University Symphony Orchestra, which was a very enjoyable experience. And with Tchaikovsky’s 6th Symphony to be performed in Canterbury Cathedral in term 2, I have plenty more to get my teeth in to and enjoy! I study Business and Management at Medway, but making the trip over to Canterbury to perform with the Concert Band, Big Band, Symphony Orchestra and of course the wonderful General Harding’s Tomfoolery is always the highlight of my week – I’m looking forward to times ahead with the Music Department at Kent. Read profiles of other Scholars here. With an heraldic fanfare, we’re delighted to say that our new What’s On season is now available to view online, with a mouth-watering programme of events to see you through to July. 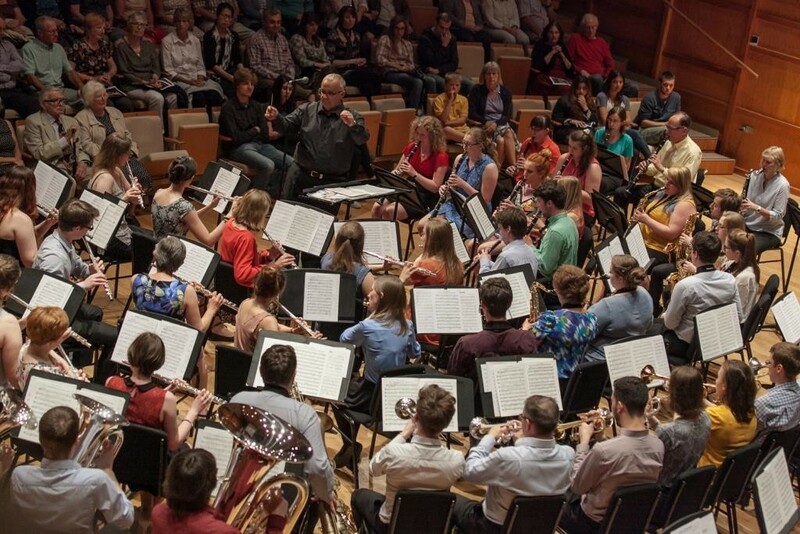 As usual, we’ve performances in the majestic surroundings of Canterbury Cathedral with the Chorus and Symphony Orchestra in Tchaikovsky and Puccini for the annual Colyer-Fergusson concert, and the Chamber Choir and Ensemble will fill the Crypt with Fauré’s evocative Requiem in a new chamber edition. 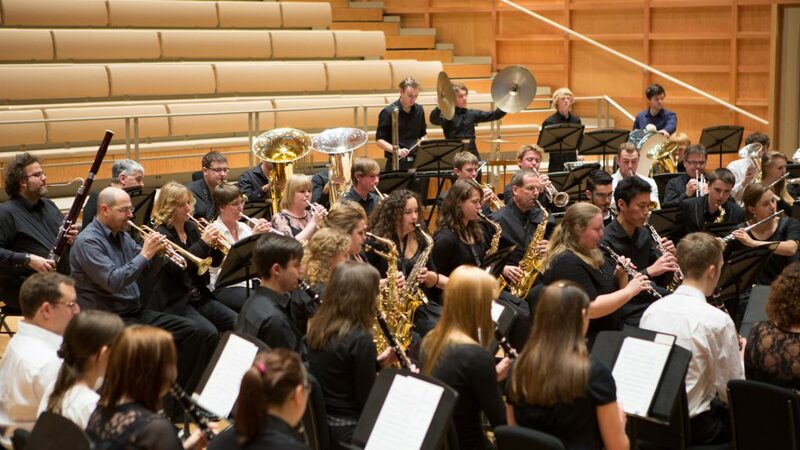 The Concert and Big Bands return in March with a dazzling evening of concert band classics and big band swing, and the Musical Theatre Society is back in action too. 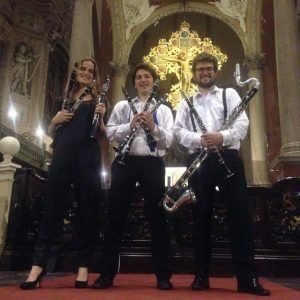 CantiaQuorum brings its usual eclectic and innovative approach to programming with a new series of concerts, and our popular Lunchtime Concert series ranges from the shores of Scotland to the heady sensuality of Argentinian tango. 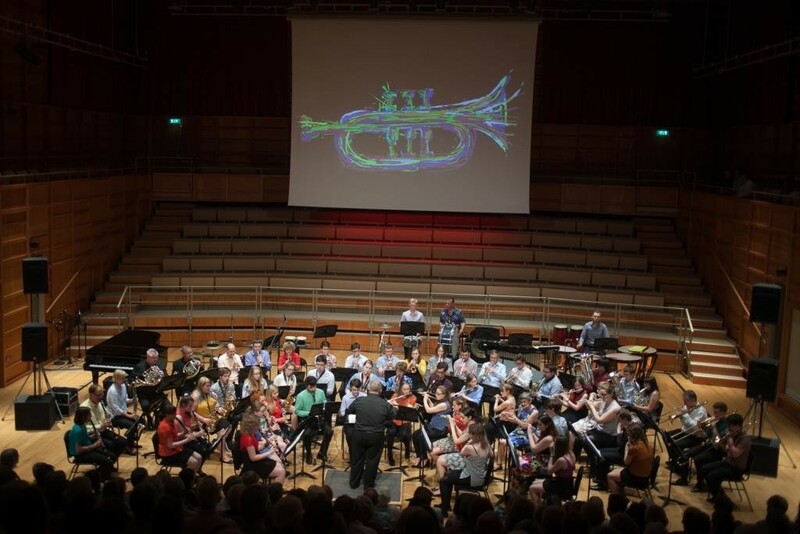 A new collaboration with the School of Biosciences forms the backdrop to a concert bringing together live music with beautiful images from its cutting-edge research, which will also be exhibiting in the Colyer-Fergusson gallery throughout the spring term; and there’s a look ahead to warmer weather and seaside pleasures with events to come during our annual Summer Music Week festival in June. Take a look at all these events and more on our online page here, and download the new season brochure here. 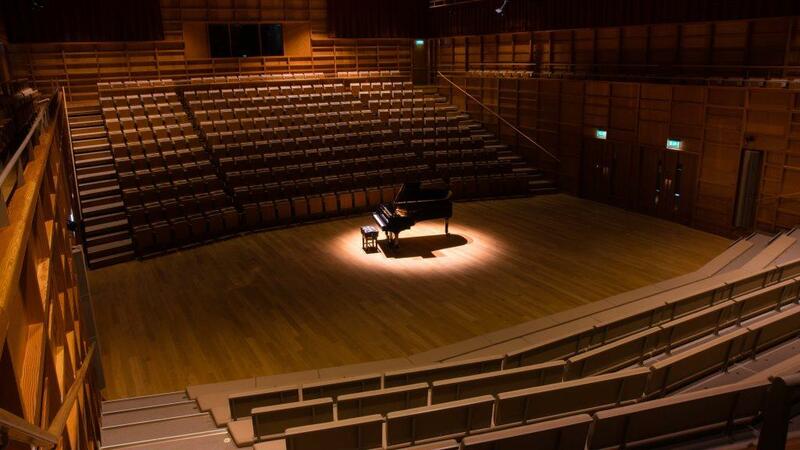 We look forward to welcoming you through the doors of Colyer-Fergusson and to our performances elsewhere over the coming months! 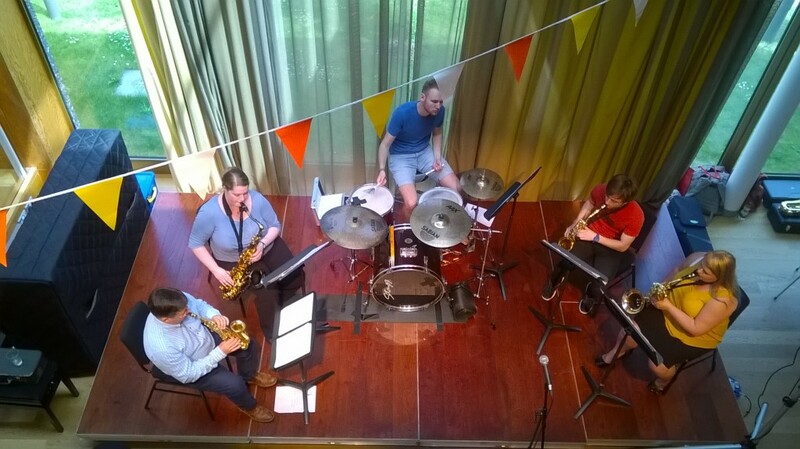 Colyer-Fergusson got that jazzin’ feelin’ yesterday, as Day Four of Summer Music Week saw music on the foyer-stage from the Sax Quartet and guests, followed by society hep cats, in the afternoon. 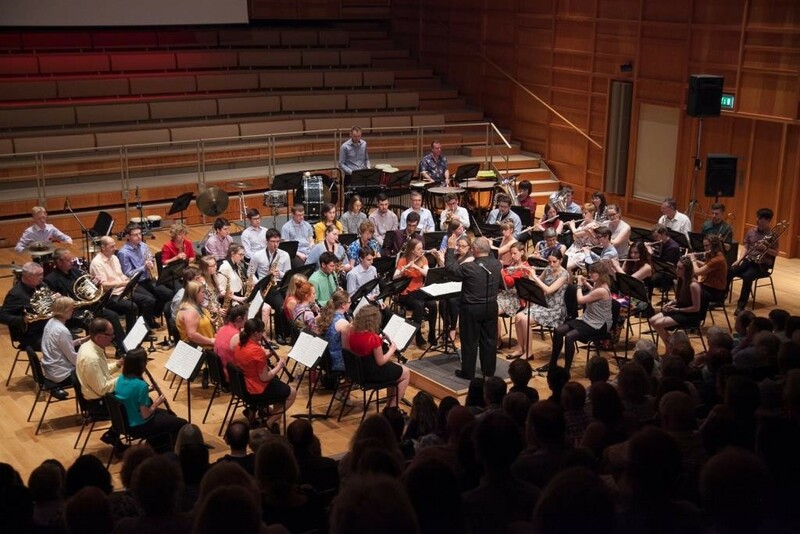 In the evening, conductor Ian Swatman led the Concert and Big Bands in a roof-raising finale to the ensembles’ year. 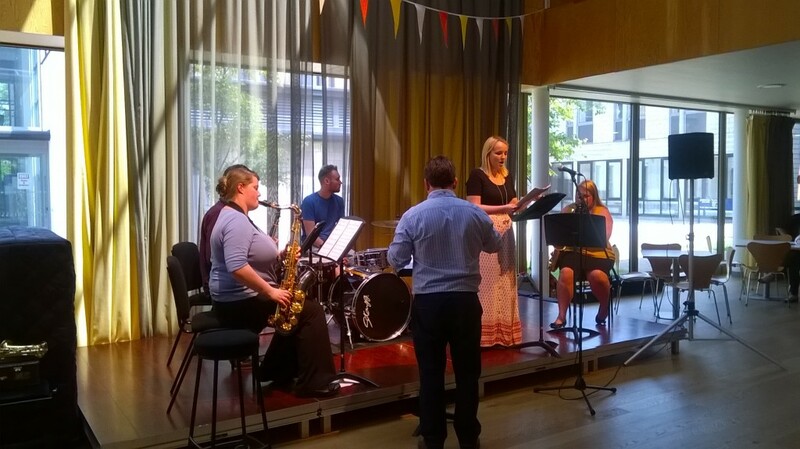 Summer Music Week continues today with a lunchtime concert from the String Sinfonia in music by Piazzolla, Borodin, Bach and more in Studio 3 Gallery.